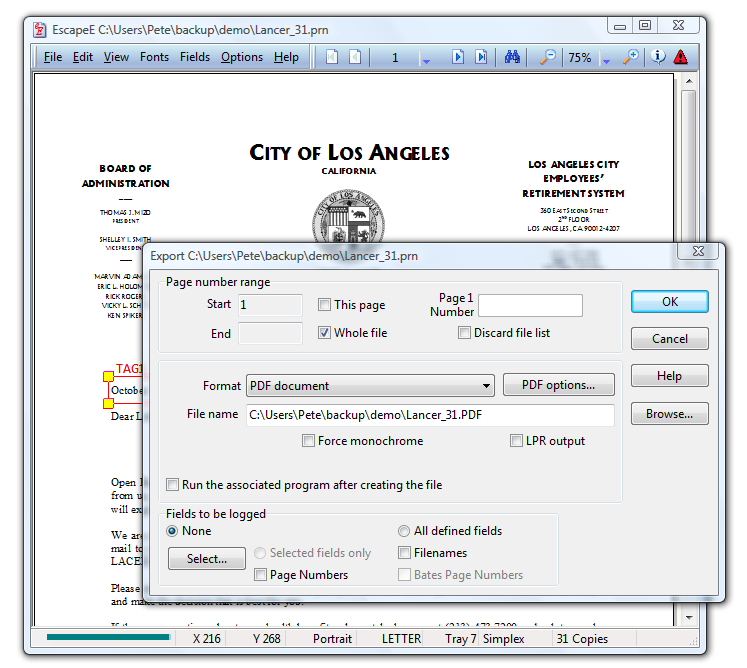 Portable Document Format - RedTitan EscapeE is the fastest way to convert PCL to PDF (or PDF/A) in both image and compact vector formats. Security - Documents may be protected by a password using 40-bit or 128-bit security. Fonts - There are options to use standard Adobe fonts or include downloaded Truetype or bitmap fonts from the PCL into the PDF file. Future proof - EscapeE will also read and view PDF. Table of Contents - Generate contents automatically from marked-up fields.